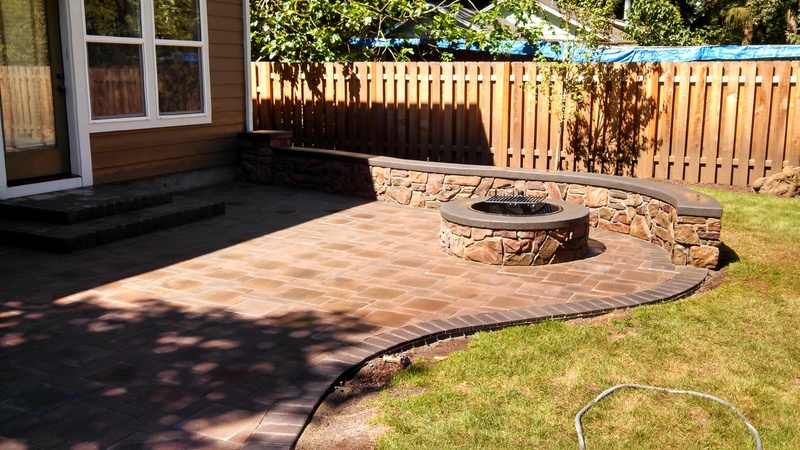 Sand set (interlocking paver) and concrete brick paver patios come in many different colors than in the past, they can be from red to black and variations in between. 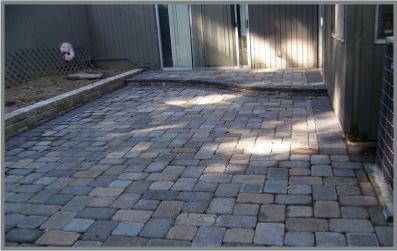 interlocking pavers come in hundreds of patterns and shapes to choose from ,while the standard brick paver is rectangular we still can create beautiful patterns and design combinations with sand pavers or concrete that has been colored or stained. 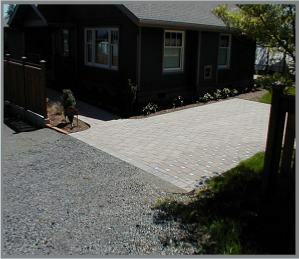 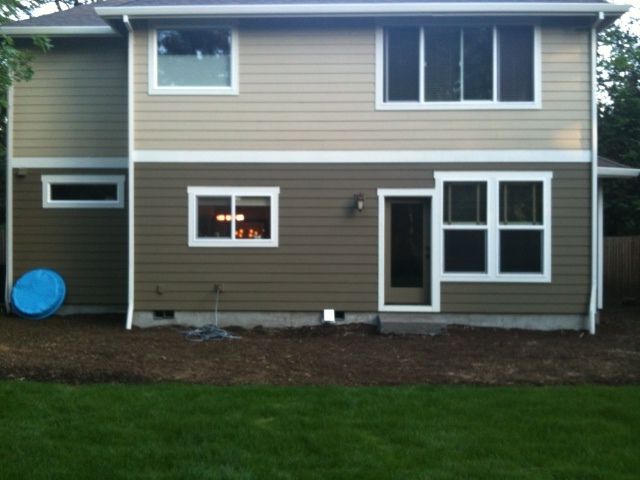 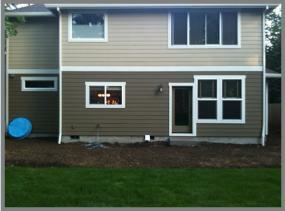 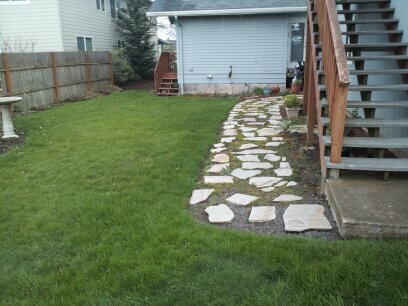 Randy McKee masonry is a residential paver contractor and and commercial paver contractor servicing Portland to Salem . 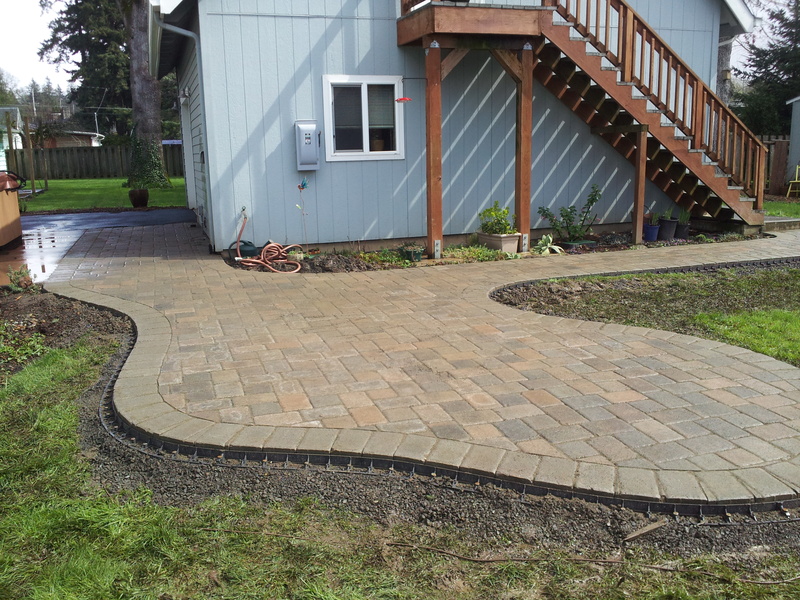 Here we installed a sandset paver patio and walkway using a holland type paver on outside edge ribbon and a running bond pattern in field areas. 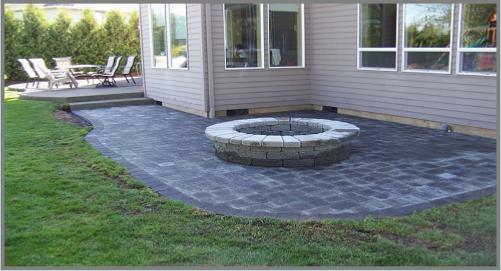 This simple type patio was perfect for the area and provided a nice area for the bbq and added overflow area for entertainment. 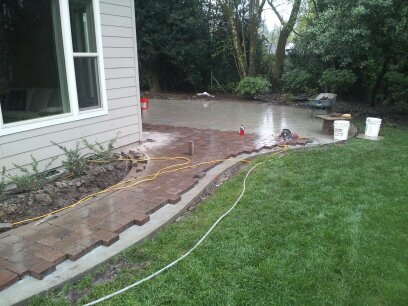 Here we install ad concrete paver patio using plaza stone from Belgard in the filed areas and holland pavers for the outside ribbons. 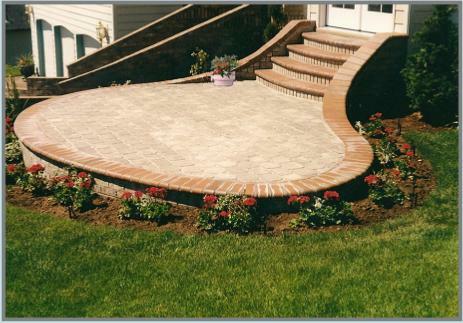 we used the old step and tied into it with rebar and poured a new footing along the outside and installed charcoal type brick on the risers with colored mortar to help in blending , we then installed the plaza stone over the old step and footing for the new look. 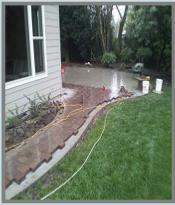 We excavated the area and installed a good solid crushed rock base and sand for the new concrete pavers . 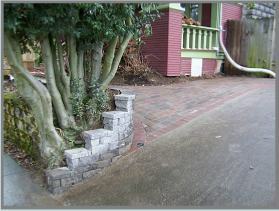 The seating wall was built on a concrete footing with block base . 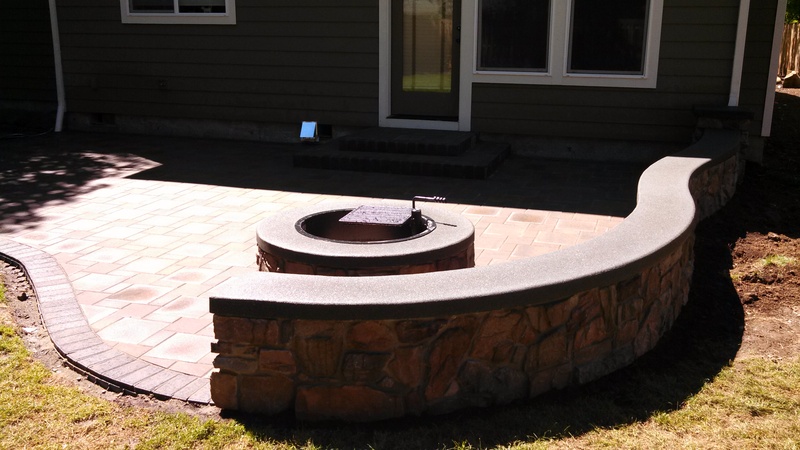 we then made our own forms and poured the seat and the cap for the fire pit with a special concrete mix we formulated using a dark color and finishing the surface in a sand finish. 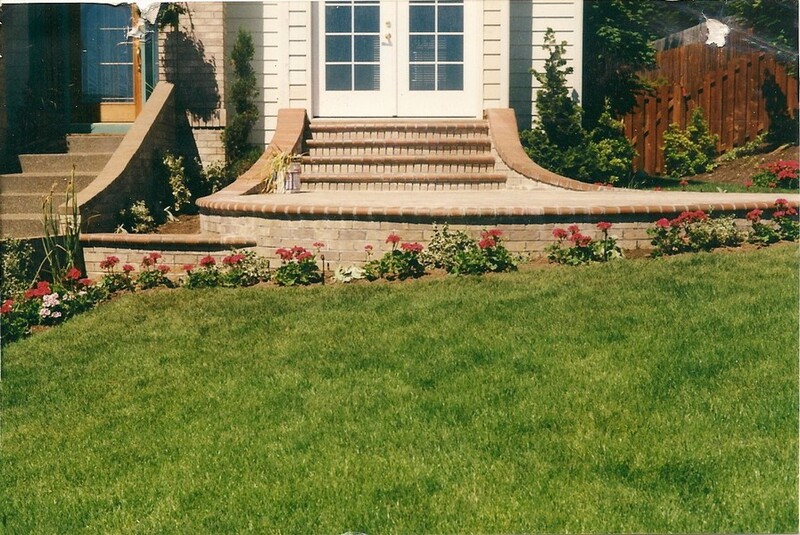 the stone was a cultured stone from coronado stone with colored mortar to help blend with the rest of the masonry. 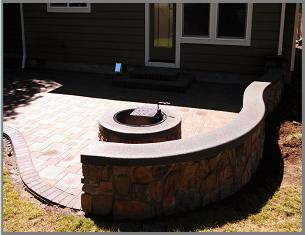 The fire ring and grill was a special order that fit the Bbq . 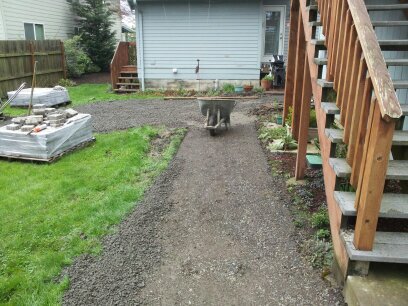 We poured the rat slab and overlaid it with the concrete paver, we then sanded the surface with sand loc to help keep the sand in the joint work. 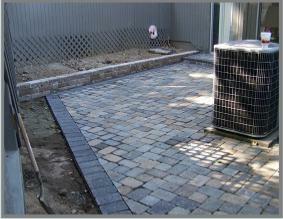 We install small and large concrete paver patios ,this patio is over 1200 square feet. This patio we installed off the front of the home, we dug out for the base concrete slab and veneered the outsides of the patio and overlaid the concrete rat slab with sand set concrete pavers from western interlock . 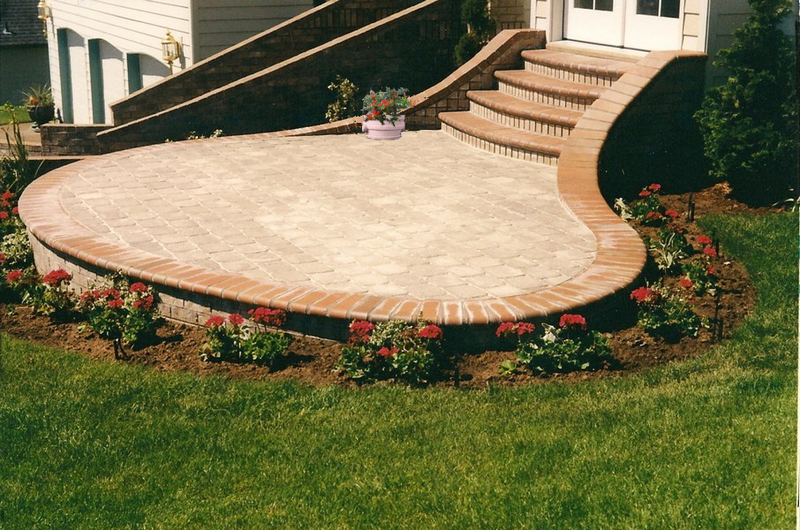 We used pool copping brick for the steps with radius walls that blended down into the ribbon edge of the patio. 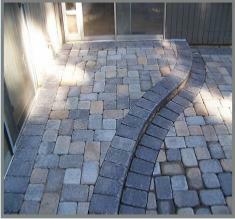 Sand set Or mortar set pavers. 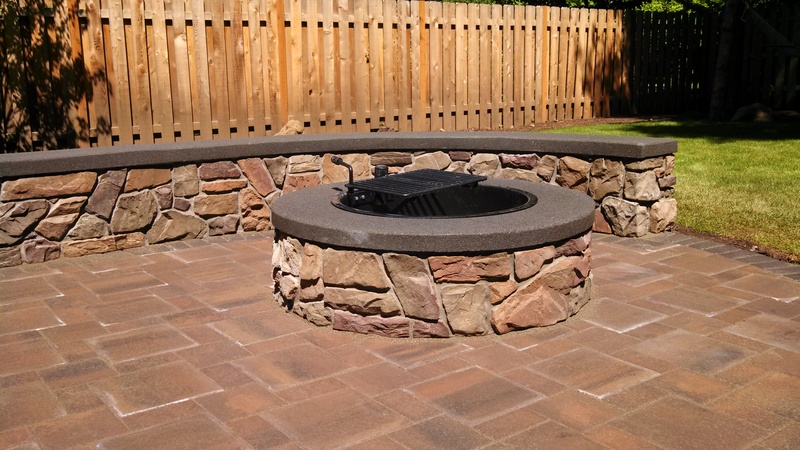 We can do anything in Hardscape masonry, from rock walkways to the sand set concrete pavers, we combine them to make your entertainment areas into beautiful and Useful areas of the home that can last for decades. 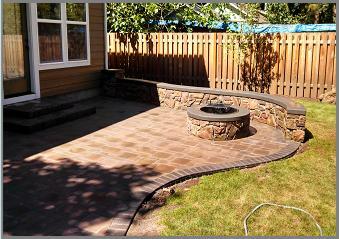 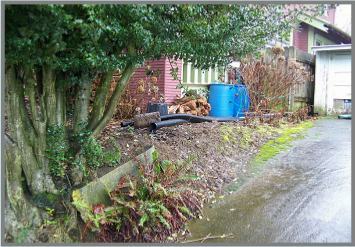 Give us a call at 503-554-9510 or fill out our webform for your free bid of your project. 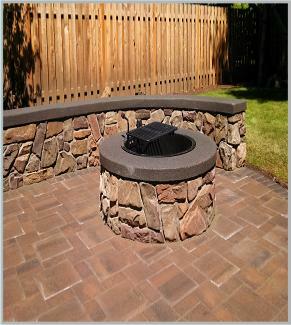 We removed a wood deck that covered the entire back yard of this town house and installed charcoal ribbons on the outside edge with Roca comino stone paver from western interlock in the filed area with retaining wall planter built with tuscan harvest blend dry stack stone from mutual materials. 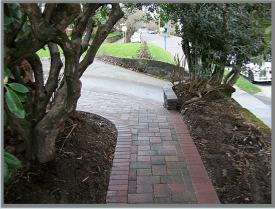 We removed some old concrete that helped hold up the bank on the corner of the yard and installed a dry stack retainer wall from Mutual materials, we then installed the sand set pavers from western interlock . 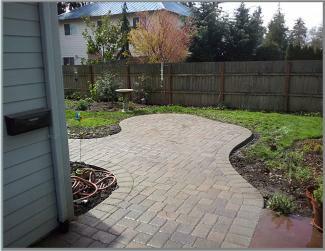 We installed this concrete paver driveway and walkway over a concrete base. 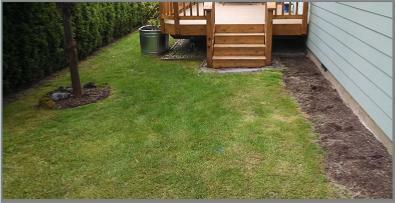 This will keep the sandset look with a super base that wont deteriorate over time. 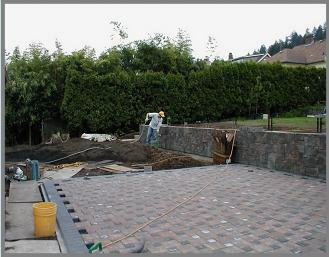 We then installed the rock veneer on the existing concrete retainer wall to blend with the (concrete) sand set paver driveway. 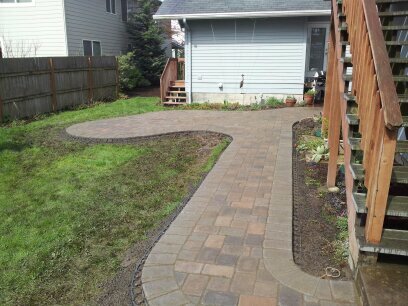 Here we installed a concrete paver patio with smooth bends to soften the look up and be larger enough to place a table and chairs on with room to get around and not take up to much yard space as the customer had wanted.